From finding the perfect Seattle coworking space to figuring out who can best explain how to patent an idea in Seattle, there’s no doubt that starting a business in Seattle can be quite a challenge. That’s why we created this comprehensive guide so that all startup companies in Seattle know exactly where to start, as well as what their next steps are before filing for a patent (or two). So without further ado, here are the top 20 essential resources for entrepreneurs and inventors in Seattle. Since 2015, the University of Washington is considered the most innovative public university in the world. Not only is it home to the Bill & Melinda Gates Center for Computer Science and Engineering, in 2015 alone, but the university also reported that it had 44 innovations, four start-up companies, 65 patents filed and 18 patents issued. Constantly encouraging students to, ”go on to illuminate possibilities and drive change throughout the country and all over the world”, the UW is regarded as an ideal place for students to start turning their business dreams into a reality. According to current UW President, Ana Mari Cauce, in a 2018 article titled, UW Ranked Among Top 5 Most Innovative Universities in the World By Reuters, ” Innovation at the University of Washington is driven by a culture of interdisciplinary collaboration and a deep-seated public service mission,” said UW President Ana Mari Cauce. Founded in 1891, Seattle University is a Jesuit Catholic university known for students helping students make their entrepreneurial dreams come true. Other than that it is home to the Jones Progress Award, a business accelerator for Seattle U students, it is consistently ranked among the top 10 universities in the West by U.S. News & World Report. It is also included in The Princeton Review‘s Best Colleges guide and will (eventually) be the home of the newly built Center for Science and Innovation. As of January 11th, 2019, Microsoft committed $3 million to Seattle University in order to support the Center for Science and Innovation, Programming in Ethics and Technology. Founded in 1964, SCORE is a non-profit organization geared to help small businesses succeed by offering free counseling and networking opportunities. It is powered by the U.S. Small Business Administration and has 364 chapters throughout the United States and its territories, with over 13,000 volunteers nationwide. In addition to providing resources, templates, and tools to entrepreneurs, SCORE also runs local workshops and events throughout the country in order to help small business owners connect those that will help them to start, grow, and maintain their businesses. SCORE even provides online workshops to businesses. These workshops are available 24 hours a day, 7 days a week. Developed by the U.S. Small Business Administration (SBA), the Seattle District Office offers Financial assistance for new or existing businesses. It also offers free general business counseling to small businesses of all types courtesy of SCORE. They also give special loans to businesses involved in international trade. It even offers assistance to minority and women-owned businesses. For those who were once a part of the U.S. military and want to start a business, U.S. veterans can receive business counseling and information about SBA guaranteed loans courtesy of the Seattle District Office. Led by none other than Bold Patents itself, Seattle Bold Inventors Group is a free meetup group where businesses can learn more about the latest in patent law (recent law changes, court cases, etc), the patent process and how to get a patent! You can even practice your pitching skills there and team up with other entrepreneurs and inventors if you want to. As of now, the group has over 300 members and is run by Bold Patent’s founder, J.D. Houvener, and his assistant organizer, Mai H.
Founded in 1954, the Association for Corporate Growth(ACG) serves to drive middle-market growth. It is well-known for its annual Northwest Middle Market Growth Conference, which is a premier networking and business development event in the Northwest. It is also well-known for giving members exclusive access to top financial data through the PitchBook Platform. As of now, the ACG has 57 chapters in North America and Europe and is home to ACG InterGrowth, ACG’s cornerstone networking event, as well as the world’s largest dealmakers conference. In this group, members have partnerships with organizations from different areas and fields in both China and North America. 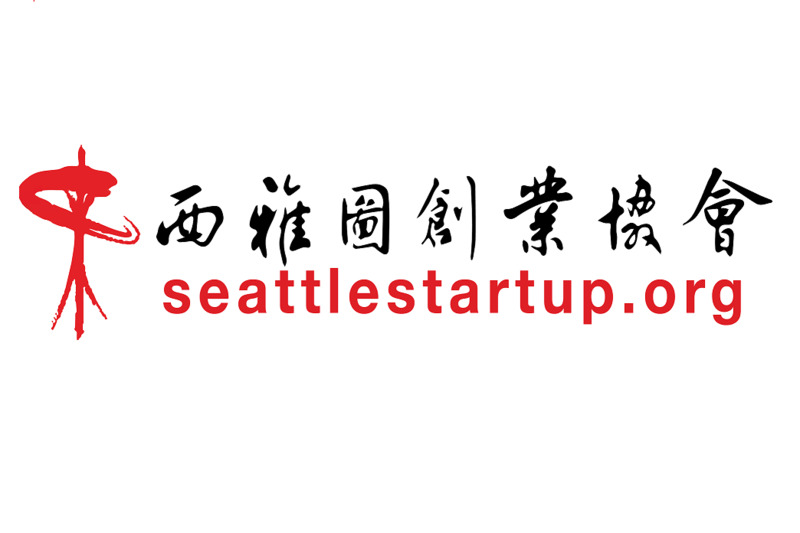 In addition to being a very good place to practice your Chinese language skills, Seattle Entrepreneurship Club is a great place to partner with other entrepreneurs from around the world. Other than being a good place for members to learn more about the Seattle tech entrepreneurship community, the Startup Tech Seattle group is a great group for those looking to practice their pitches and meet future coworkers. 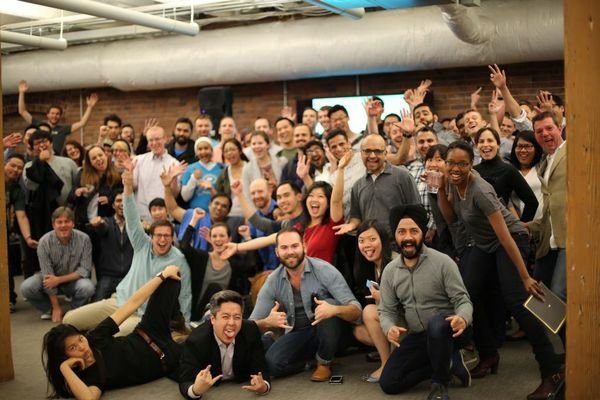 In addition to speaking events featuring innovators and leaders, the group also offers workshops and hackathons related to the fundamentals of product, marketing, customer success, and so on. As of now, the group has over 700 members and is led by organizer Riley P.
Established in 2011, the Young Professionals of Seattle (YPOS) group strives to, “provide a platform where locals can connect with other young professionals and thaw the rumored “Seattle Freeze” ” by running network events. As of now, it is the largest young professionals community on the west coast. They even have a really cool Facebook page for those who want to stay up-to-date on all of their current events and meetups. Founded in 1995, the Center’s programs are non-profit programs geared to help MBA students get the experience needed to tackle on the challenges that the business world today has to offer. Combining academic rigor with business relevance, the programs help businesses of all backgrounds succeed in today’s competitive market by offering programs such as the six-week business intensive Business Certificate Program. As of now, it is considered the #1 School for MBA Job Placement according to Businessweek. From its supportive Small Business Development team to its hardworking Workforce Development team, the Office of Economic Development strives to make Seattle the most innovative and equitable city through the usage of their programs. In 2016, The Seattle region was designated a TechHire community, which aims to help underemployed adults get the opportunities that they need to work and flourish in the tech world by aligning them with training providers like Ada Developers Academy, a software development training for women and Unloop, which aims to help people who have been incarcerated succeed in technological careers. Ranked the #1 U.S. Accelerator by MIT’s U.S Seed Accelerator Rankings since 2015, AngelPad is a seed-stage accelerator program that has launched more than 140 companies since 2010. Every 6 months, AngelPad works with about 15 teams. During that time, AngelPad works with these groups on everything from discovering who their actual customers are to figuring out how they should refine their business marketing strategies. They also help these companies with fundraising. Located at the University of Washington, CoMotion Labs strives to help business leaders, artists, innovators, and other startup members get the help that they need to make their business dreams a reality. Owned by the Madrona Venture Group, Madrona Venture Labs is a “startup studio” designed to help businesses build connections with the 20 top VCs and investors in the nation. Because it is a highly competitive incubator, this incubator is not designed for those who want to start a business at their own pace. Founded in 1997, Alliance of Angels is the largest and most active group of angel investors in the Pacific Northwest. Each year, it invests $10M+ into 20+ startups. It also provides business mentorship to these startups. As of now, they have provided the majority of their funding to information technology companies such as Cardtapp and Foodee. Founded in 2010, WINGS is a non-profit angel network that supports the medical technology community by providing seed and early-stage funding. Since then, WINGS has evaluated hundreds of medical technology companies from around the region and has invested over $11 million in 27 companies to date. As of now, WINGS has provided funding to companies including Monitor Mask and LaunchPad Medical LLC. From Office Nomads to Black Dot, investors and entrepreneurs can choose from a multitude of unique shared coworking spaces. For more information, please read our article, Top 17 Seattle Co-working Spaces. In the article, we provide an in-depth explanation of all the different types of co-working spaces available in Seattle! 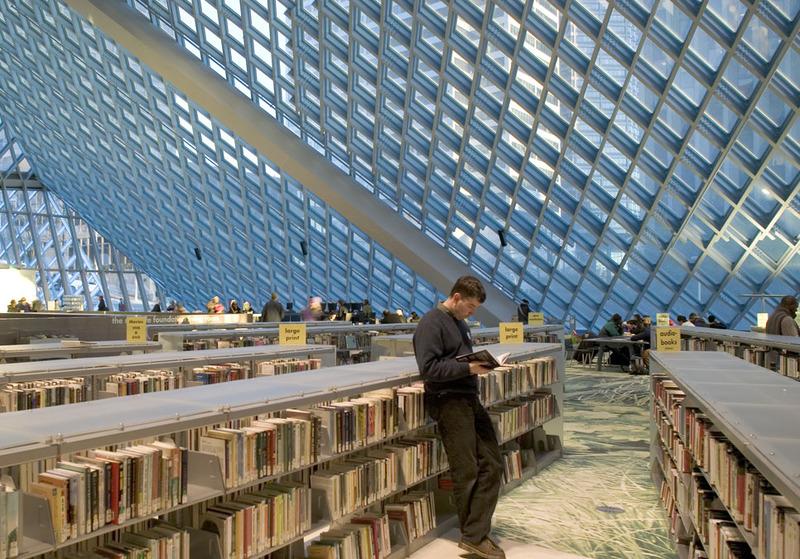 Since 1891, the Seattle Public Library has helped businesses build the skills that they need to succeed by offering free online classes and access to local business news and databases for market and industry research. It founded, and until July 2008 administered, the Washington Talking Book & Braille Library (WTBBL). In 2018, the library hosted the NSF’s STEM for All Video Showcase to Highlight Innovation in STEM Education. For those looking for good business programs, the library currently offers two entrepreneur workshops: Beyond Google: Free Market Research At Your Library and Your Business – Start Smart. Named one of “the 10 top cities of innovation” according to Bizjournal, The Emerald City itself is home to many large tech corporations and accelerators. We understand the difficulties of growing your ideas and business in such a competitive market such as Seattle. Click here to learn more about the #1 patent firm in Seattle! Known for serving the bold and the brave nationwide, Bold Patents has been helping its clients get the patents that they need in order to make their business ideas (and inventions) a reality. Side note: By the way, if you would like some information on meeting with a patent attorney, then please check out our previous article, 10 Tips for Investors: Meeting with a Patent Attorney. There you have it, everyone! A multitude of all the different resources available to inventors and entrepreneurs as listed above and below. In the meantime, what other resources would you recommend to your fellow entrepreneurs and inventors in Seattle? Please let us know in the comments below! I just received a nice note from a kind lady named Athena Baker regarding your website. It is indeed a good one. She had visited my website at https://www.riordanco.com/links_inventor_resources.php . I am the original “Inventrepreneur”, having coined the term in my seminars for inventors in 1986, who also wanted to become entrepreneurs and take their own products to market. I developed the “Inventrepreneur’s Path to profit poster which depicts all of the steps involved in the process. I hope your inventors will benefit from my site. It is a wonderful feeling bringing new products to market and then benefitting from the successful ones. I have sold my products to companies as large as 3M and have marketed many of my own inventions for years. It has been and is a great career and I highly recommend it. I wish all of you great success with your ideas and . . Keep on inventing!! Jim Riordan owner of http://www.riordanco.com. Please feel free to check out more of my inventions and I hope I can inspire you to become an Inventrepreneur! !